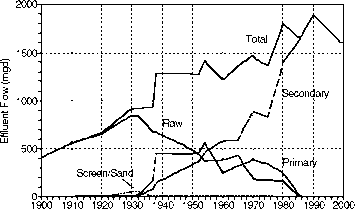 Figure 6-9 Long-term trends (1900-2000) of population served by raw, fine screen/sand filter, primary, and secondary municipal wastewater facilities in the Middle and Lower Hudson basins. Source: Hetling et al., 2001. Presented at the NYWEA conference February, 2001.
basin that was connected to urban sewerage collection systems (Suskowski, 1990) (see Figure 6-7). Reflecting the migration of people from the suburbs following World War II, the sewered population served by wastewater facilities in the Middle Hudson basin rose from 10 percent of the total population served in the mid-1950s to 18 percent by 2000. 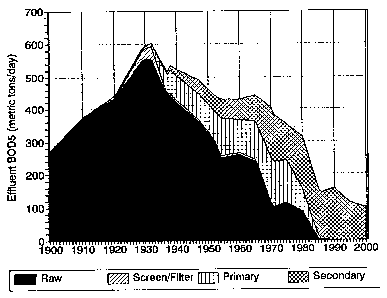 The population served by facilities discharging untreated (raw) sewage steadily increased during the period from 1900 to the 1930 (Figure 6-9). In the Lower Hudson basin, raw sewage was discharged by 3.0 million people in 1900 increasing to a peak of 6.4 million by 1932. From the mid-1930s to the late-1980s, the population served by untreated sewage facilities steadily declined to 2.9 million in 1960 and 1.07 million in 1980 as raw sewage discharge facilities were upgraded to primary or secondary treatment. The population served by primary facilities increased from 1.05 million in 1937 to a peak of 1.92 million in 1954 (Figure 6-9). Completion of Manhattan's North River plant in 1986 and Brooklyn's Red Hook facility in 1987 as advanced primary facilities finally eliminated the discharge of 121 mgd of raw sewage into the East River and the Lower Hudson River off the west side of Manhattan (Brosnan and O'Shea, 1996a). As a result of the regulatory requirements of the 1972 CWA and the availability of federal and state construction grants, the population served by full secondary treatment facilities has increased from 1.17 million in 1938 to 8.58 million by 1990 in the Lower Hudson basin. A similar trend is recorded for the Middle Hudson basin, where the population served by secondary increased tenfold during the 1950s and 1960s to 0.25 million by 1970. After the 1972 CWA and an establishment of a state construction grants program, the population served by secondary treatment plants in the Middle Hudson increased to 1.5 million by 1999. Based on an analysis of all the wastewater discharges to the Hudson River and all other adjacent waterways, municipal sewage treatment plants in the New York metropolitan region served approximately 16 million people and discharged about 2,500 mgd during the mid-1990s (Brosnan and O'Shea, 1996a). 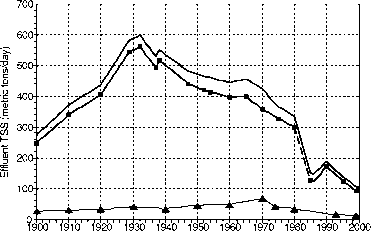 The erratic trends in total population served presented in Figure 6-9, particularly the noticeable decline between 1980 and 1990, result from year to year inconsistencies in the population served data obtained from Interstate Sanitation Commission (ISC) annual reports on municipal wastewater facilities discharging to the Lower Hudson basin and Long Island Sound. The time series estimates of effluent flow and effluent loads of BOD5, TSS, TN, and TP are dependent on estimates of population served. Any inconsistencies in the trends for population served also result in inconsistencies for the characterization of effluent trends, particularly between 1980 and 1990, for effluent flow (Figure 6-10) and BOD5 (Figure 6-11), TSS (Figure 6-12), and TN loads (Figure 6-13). Figure 6-10 Long-term trends (1900-2000) of effluent flow by raw, fine screen/sand filter, primary, and secondary municipal wastewater facilities in the Middle and Lower Hudson basins. Source: Hetling et al., 2001. Presented at the NYWEA conference, February, 2001. 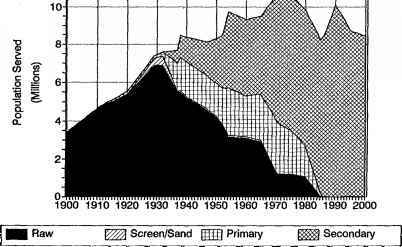 Figure 6-11 Long-term trends (1900- 2000) of effluent BOD5 loads by raw, fine screen/sand filter, primary, and secondary municipal wastewater facilities in the Middle and Lower Hudson basins. Source: Hetling et al., 2001. Presented at the NYWEA conference, February, 2001. Figure 6-12 Long-term trends (1900-2000) of effluent total suspended solids loads by municipal wastewater facilities in the Middle and Lower Hudson basins. 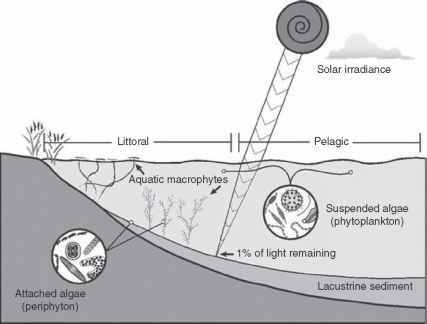 Source: Hetling et al., 2001. Presented at the NYWEA conference, February, 2001.